PCco. offers you a beautiful collection of versatile, functional bags. PCco. handbags are made in the United States, of the finest materials and tailored with care. 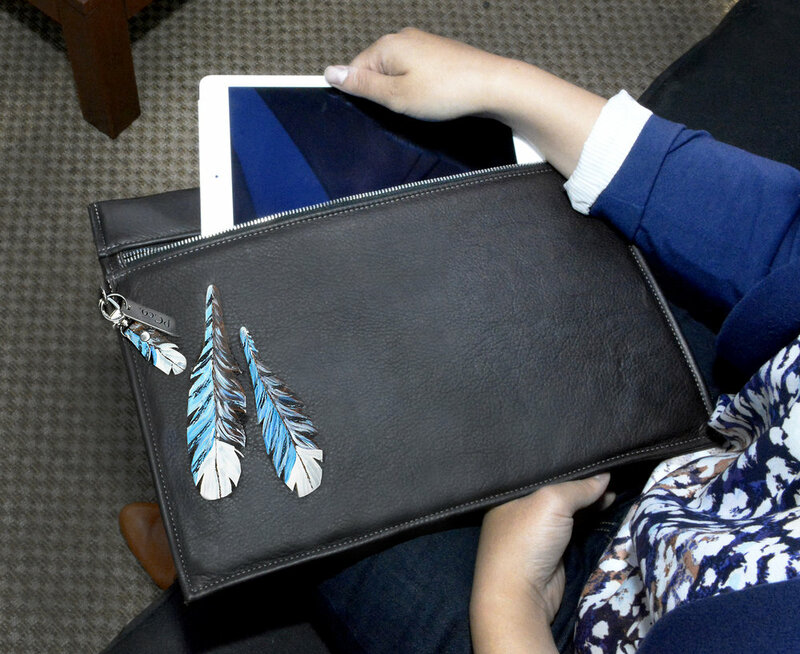 The Uptown Collection sports elegant contemporary lines, many with playful hand painted leather feathers so you can take your style to work or on the go. The Original American Collection offers diverse styles of one of a kind handbags incorporating premium leathers and authentic 19th and 20th Century, Dene, Navajo textile fragments. These gorgeous functional pieces are inspired by the American West. The collection uses vintage sterling silver, German silver conchos, and quality durable contemporary hardware, Turquoise and glass beads and handwoven charms enhance their beauty. The collection includes nine different styles. Featuring bags with limited production, distinctive design and artisanal craftsmanship our Couture bags provide both business functions with high style. Designed with inspiration drawn from first peoples around the world, from the tundra, to Polynesia, from the North American Prairie to the American west, you'll see the power of strong unique design.